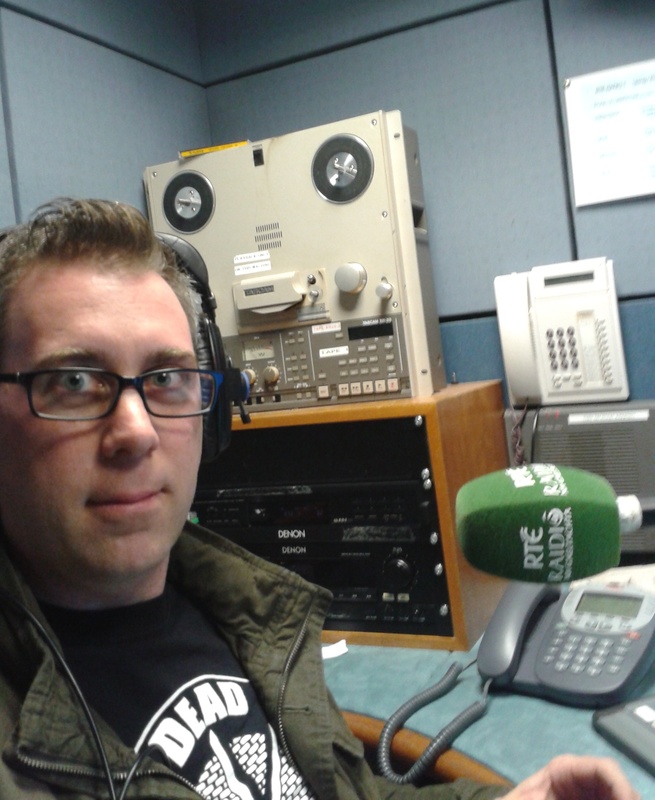 In Dublin yesterday (10 Sep) I did two radio interviews to promote the No Ideas book. The first was with Matt Cooper for his show The Last Word on Today FM. Afterward Elaine and I hoofed it over to RTÉ where I was linked up with BBC Radio Ulster, to be interviewed by Steven Rainey for his show Arts Extra. I think I was nervous during the former, but quite relaxed for the latter, and it might be due to the fact I was alone, essentially doing a phone interview. Here’s the BBC interview — be aware, it won’t be available for long. At time of writing, I am unsure when the Last Word interview will be aired, but as soon as I hear, I’ll shout about it. I love your voice, very nice! Thanks! I groom it myself. You *do* have a nice voice. But *not* the ‘face for radio’. 🙂 Hear you tomorrow! Dang and I was expecting another “OH MY GOD IT’S HAUNTED!” video LOL. Loved the interview by the way! I’m looking forward to reading the book once I get it! I love the ‘what to do after..’. I want to see more of those!